© 2019 FDMK.net. 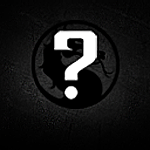 MORTAL KOMBAT®, dragon logo, and all related characters and elements are registered trademarks of Warner Bros. Entertainment Inc. DC LOGO, and all characters, their distinctive likenesses, and related elements are trademarks of DC Comics©. NETHERREALM STUDIOS LOGO, WB GAMES LOGO, WB SHIELD are ™ & © Warner Bros. Entertainment Inc. Killer Instinct, KI LOGO, and all related characters and elements are registered trademarks of Microsoft Game Studios.